Last week, MESTECC put an advertisement in the media on the public consultation of the Environmental Impact Assessment (EIA) submitted by Lynas. 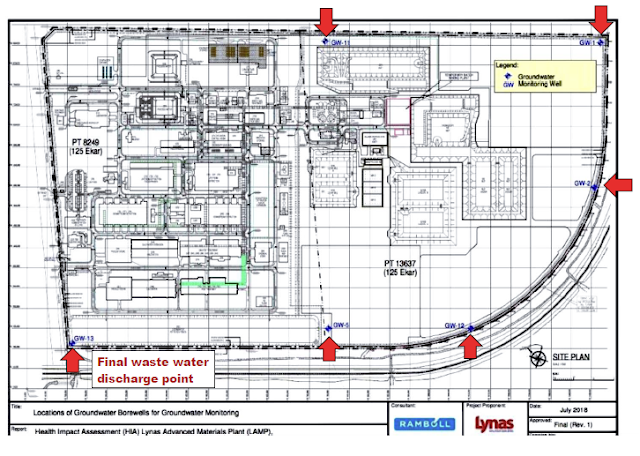 The EIA was submitted with Lynas’ application to make its waste storage area a permanent site for its NUF (neutralisation underflow) stream of waste. Responding to this latest move by Lynas, Mr Tan Bun Teet, SMSL Chairman says, “Lynas should have submitted this detailed EIA back in 2011, before Malaysia issued it the operating licence. What is the use of getting the public reviewing a document when Lynas has failed to comply with its own blueprints since 2011? This EIA is just another expensive document to add to those piles of documents related to its operations and waste ‘management’ that has resulted in nearly 2 million tonnes of wastes piled up high and leaching hazards into our environment.” – see photos attached of Lynas’ waste piles. Late November last year, the Executive Review Committee on Lynas revealed in its report that ground water monitoring data (p.80-81) around Lynas’ waste storage area – see map over the page – have shown serious level of contamination from toxic heavy metals - nickel, chromium, lead and mercury. One of the monitoring stations SW13 near or at Lynas’ effluence discharge area, has nickel level 1000 times over the Dutch legal limit for nickel! “If these data revealed such serious contamination, MESTECC should really take action on Lynas. If other companies that have violated our regulations have been fined and penalised, why should Lynas be exempted when it has produced phenomenally huge amount of hazardous waste?“ Asked Mr Hon Kai Ping, Legal Adviser for SMSL. 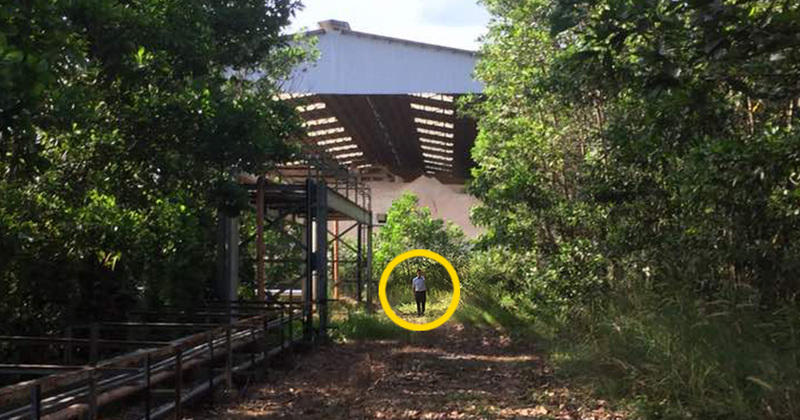 For years now, Lynas has been storing its wastes in its processing plant premises in Gebeng in breach of Malaysia’s regulatory requirements under the Scheduled Waste Regulation 2005 of the 1974 Environmental Quality Act. Under this regulation, the waste can only be stored onsite for up to 180 days if it is 20 tonnes or below. By law, the NUF waste needs to have the appropriate label and be stored in containers. 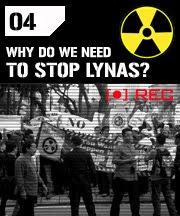 Yet Lynas managed to accumulate over 1 million tonnes of scheduled waste and over 450,000 tonnes of radioactive waste without any legal recourse since production began in 2013. 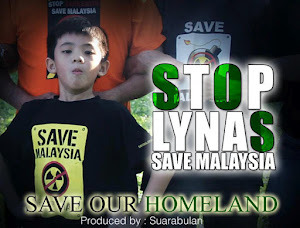 We Do NOT want another Toxic Legacy, Just Shut Lynas Down! Today, the Lynas Review Committee held a public meeting in Kuantan to engage with concerned citizens to get their views on the Australian-owned Lynas rare earth refinery plant in Gebeng. Over 600 people packed into the meeting venue, clearly eagle to send strong messages to the Pakatan Harapan (PH) Government. “The people have spoken. We voted for PH because we wanted a safe and clean future. We appreciate the challenge for the Government to manage this toxic saga created by the Najib Government. 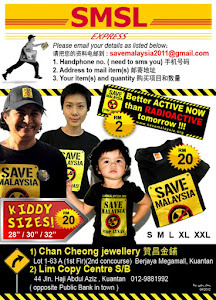 However, as tax payers and citizens of Malaysia, we call on the Government to shut down Lynas now!” said Mr Tan Bun Teet, Chairperson of citizens group, Save Malaysia Stop Lynas (SMSL). 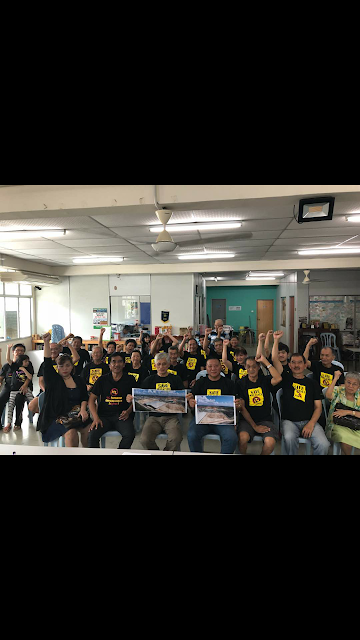 Since 2011 when Malaysians learnt of the construction of a massive rare earth refinery plant in Gebeng, near Kuantan, SMSL together with numerous other non-governmental organisations have been campaigning against the wholly Australian-owned operations. Rare earth processing has long been associated with the use of highly hazardous acids and re-agents. 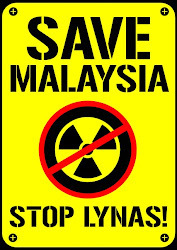 Several court cases have been attempted to try to stop the then Najib Government from issuing Lynas Corporation the licence to operate and to leave massive amount of waste contaminated with radioactive materials such as thorium and uranium; hazardous substances including arsenic, cadmium, chromium and lead as well as chemicals, from its refinery plant using ore concentrate from its Australian mine. limit. 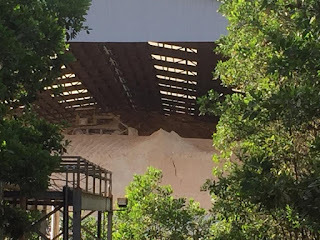 According to a DoE document, over 450 kilo-tonne of WLP waste is now stored next to the refinery plant in dams lined only with thin HDPE plastic. 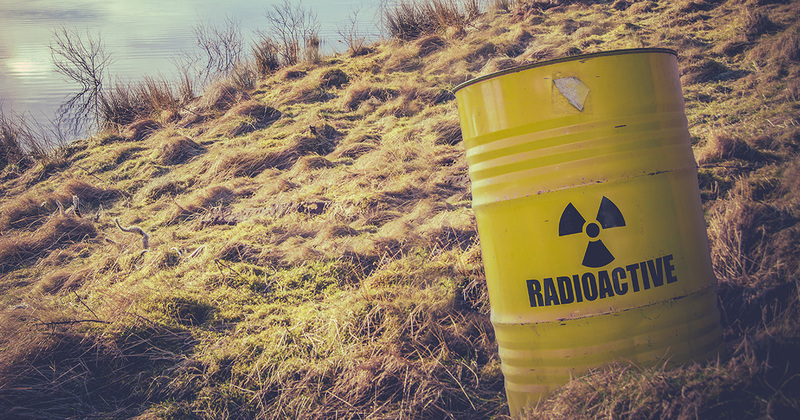 Since 1991, the International Commission on Radiological Protection (ICRP) has long acknowledged the health effects of even low-level radiation exposure above the background level. ICRP has recommended an exposure level of no more than 1 mSv per year above the background for the public, and has drastically reduced the cumulative dose for workers, based on the widely used model of radiation protection - that there is no level of radiation exposure below which we are at zero risk – known as the linear-no-threshold (LNT) approach. Responsible medical organisations have warned that even low-level medical exposures such as chest X-rays (0.04 mSv per test) carry a quantifiable risk of harm. 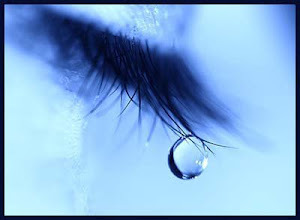 Cancer may not appear for 10-40 years. “Lynas has operated for over five years now and it is still trying to play down the hazards of its wastes. Malaysia cannot afford to risk having this kind of company operating on our shore.” Mr Hon added. 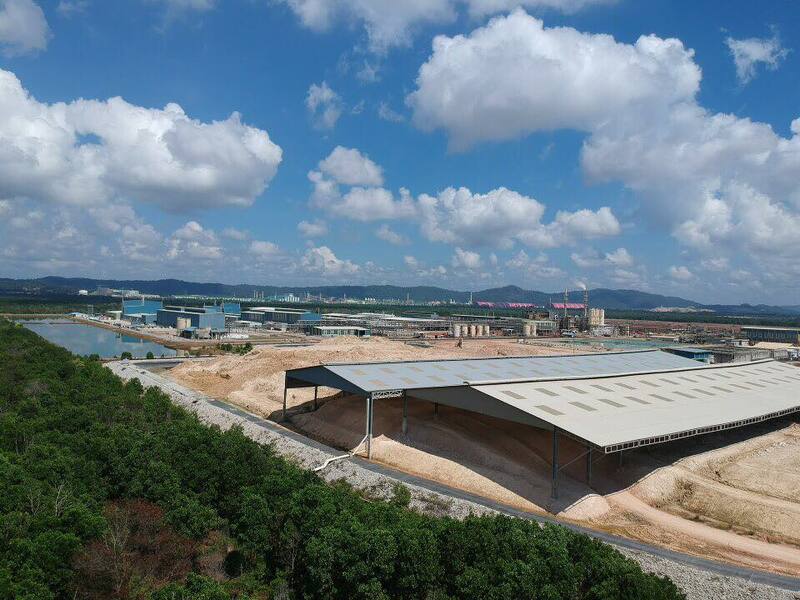 Lynas has proposed to turn its wastes into various commercial products – from building and road paving materials to a soil filler known as Condisoil. This kind of dilution is only allowed when the radioactivity of the waste is close to the 1Bq/g threshold and if there is NO long live radionuclide. 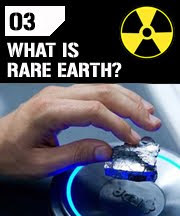 Thorium which is the dominant radionuclide in Lynas’ waste has a half-life of 14 billion years. All of the proposed diluted products by Lynas when released to the market will almost certainly exceed the 1mSv/year cumulative dose limit, posing serious health and environmental risks to the whole of Malaysia. 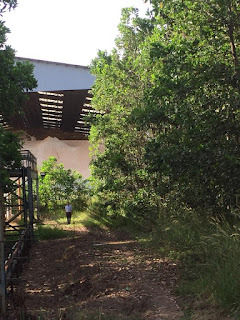 “The toxic legacy of Bukit Merah was created from monazite from our domestic tin tailing. Malaysia has been and will remain a laughing stock in the eyes of the international community by accepting such a hazardous and raw deal from Lynas, where we not only end up with its waste and pollution, we have even granted a 12-years tax break! How can this be compatible with PH’s manifesto to facilitate a sustainable development pathway for Malaysia?” concluded Mr Tan. *Pendaftaran akan dibuka sehingga 9 November 2018 (Jumaat), jam 12.00 malam sahaja. PUTRAJAYA: The Lynas Advanced Materials Plant (LAMP) operations evaluation executive committee will hold a public hearing on Nov 11 at Bukit Gambang Resort City, Gambang, Pahang. The energy, science, technology, environment and climate change ministry said the public hearing – scheduled to start at 9am – was to allow stakeholders, including Lynas Malaysia Sdn Bhd, NGOs, and experts in various fields to clarify concerns about the controversial plant. “The public is invited to attend to listen for themselves the explanations from all quarters involved,” it said in a statement. Registration opens from today till midnight of Nov 9. The ministry said those intending to attend must also comply with the rules and regulations. The public can also watch the public hearing live via FB Live on Facebook. Save Malaysia, Stop Lynas is deeply disappointed with the Pakatan Harapan (PH) government's decision to extend Lynas' waste storage licence given the hazards of its wastes. "We are alarmed by the sheer volumes of waste generated so far. Apparently over 450,000 tonnes of the most toxic of Lynas' wastes has been left near the LAMP. If this is the case then there will be over 880 tonnes of thorium in the mix." Even China has better standard since 2010 than Malaysia in managing and regulating its rare earth industry." Many of us felt cheated for voting for the PH Government thinking that it will make a real difference to make our future safer and cleaner. Here are the standards China now observes for their Rare Earth’s industry - they have very clearly defined standards for their effluent discharge as well as solid wastes measured in molecular terms. 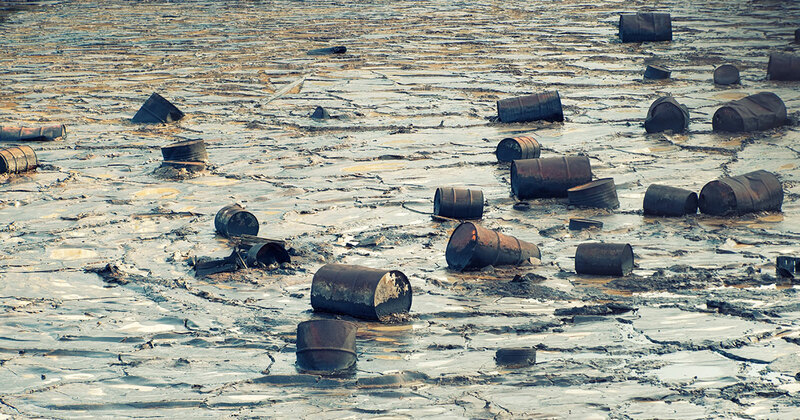 Each of the chemicals inherent in the effluents and solid wastes are systematically listed and classified accordingly to their toxicity to the waterways and soil. Here, every time we breathe in the air, we have no idea if Lynas' thorium will be in the air, in the water we drink or in the food we eat. Everyday Lynas is allowed to operate without a safe storage facility for its toxic waste, our health is put at risk by firstly, the Najib's Government's decision to allow Lynas into Malaysia, and now the PH's Government's failure to do something about that decision that is allowing another toxic legacy to happen at our doorstep. Internationally, 1Bq/g (Becquerel is the SI derived unit of radioactivity) is the limit of radioactivity for this kind of waste to be exempted for radiation safety control. Lynas' Water Leached Purification Residue (WLP) is 8 times that limit and our Government believed in Lynas' spin that low level radioactivity is safe. We cannot accept this and we will continue to fight for our safety and that of future generations' since thorium has a 14 billion year half-life. We cannot tolerate a known carcinogen - cancer causing substance - to be piled up high so close to populated area, fishing ground and agriculture area. 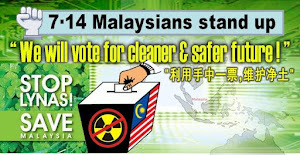 In a decent civilized country, the Government would not have tolerated the way Lynas' been dumping its hazardous waste in the open where thorium have been carried far and wide by the wind and rain. More so when we have the annual North Eastern monsoon winds and rains. 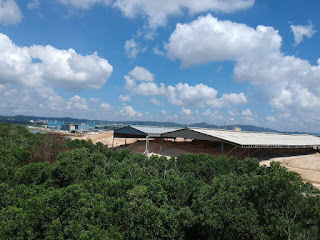 The people of Kuantan placed high hopes on the newly elected PH government to correct the wrongs that the previous Barisan Nasional government committed especially in regards to Lynas advanced Materials Plant (LAMP). Failing to act in the best interests of the people will render this government akin to the previous corrupt one and people will not forget how they have been double crossed. ASX:LYC Lynas (ASX:LYC) has attributed yesterday’s 9.5 per cent share price slide to changes in the Malaysian Government. 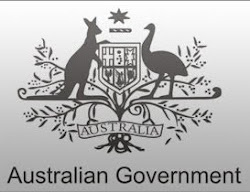 The rare earths miner says it’s looking forward to working with the new government. The company also referred to a recent media article which raised concerns about the companies environmental monitoring in its Malaysian plant. But, Lynas says there are no issues with the governance of its operations. Shares in Lynas (ASX:LYC) are trading 1.83 per cent higher at $2.50. A special committee will be set up to review the Lynas issue in the near future, says Himpunan Hijau chairperson and Bentong MP Wong Tack. Wong said that he was committed to championing the issue of Lynas, which has dragged on for 10 years. "The establishment of the committee will not only discuss the issue of radioactive pollution by the waste from the Lynas plant, as was previously focused on by the government. "The committee will also look into issues on the management of waste, verification of licenses owned by Lynas, selection of plant location, and health and environment (issues)," he said when met at a press conference on the issue at the Semambu assemblyperson’s office today. Also present were Kuantan MP Fuziah Salleh, Semambu assemblyperson Lee Chean Chung, and Save Malaysia Stop Lynas chairperson, Tan Bun Teet. KUANTAN: Kumpulan anti-Lynas hari ini meminta kerajaan Pakatan Harapan (PH) supaya menubuhkan satu jawatankuasa khas untuk mengkaji semula aspek penetapan syarat dan operasi yang dikenakan terhadap kilang memproses nadir bumi itu di Kawasan Perindustrian Gebeng, dekat sini. Pengerusi Save Malaysia Stop Lynas (SMSL), Tan Bun Teet, berkata perkara itu perlu diberi keutamaan kepada kerajaan kerana ia membabitkan soal keselamatan dan kesihatan rakyat di daerah ini. "Kita harap dapat kaji semula segala aspek keselamatan kilang berkenaan. Kita harap ia dapat dilaksanakan dalam tempoh 100 hari pemerintahan kerajaan baharu ini," katanya pada sidang media di pejabat Dewan Undangan Negeri (DUN) Semambu di sini, hari ini. Yang turut hadir, Ahli Parlimen Kuantan, Fuziah Salleh, Ahli Parlimen Bentong, Wong Tuck dan Ahli Dewan Undangan Negeri (ADUN) Semambu, Lee Chean Chung. Bun Teet berkata, banyak isu yang masih belum selesai, termasuk di mana sisa buangan bahan mineral itu dibuang selain pihak syarikat itu didakwa tidak pernah mengadakan dialog bersama penduduk Kuantan. "Lynas sebelum ini tidak pernah berdialog dengan warga Kuantan untuk menjelaskan mengenai operasi kilang mereka. Sementara itu, Wong Tuck, berkata pihaknya tetap komited memperjuangkan isu Lynas, terutama selepas kerajaan baharu dibentuk malah mesej yang ingin disampaikan adalah jelas iaitu mahu operasi kilang berkenaan mengikut prosedur. "Kita tidak tahu sejauh mana selamatnya kilang Lynas dan tidak berkompromi terhadap sebarang isu keselamatan awam dan alam sekitar. Usaha secara komprehansif akan dilakukan untuk memastikan kilang itu mematuhi prosedur dari pelbagai aspek,"katanya. Fuziah pula berkata, beliau menawarkan diri untuk menjadi orang tengah antara Lynas dengan penduduk, NGO dan kerajaan untuk berbincang isu berkenaan. "Cukuplah Lynas mendapat perlindungan daripada kerajaan sebelum ini. Saya percaya, kerajaan pimpinan Perdana Menteri, Tun Dr Mahathir Mohamad tidak akan membiarkan projek seperti Lynas diteruskan jika memberi kesan kepada rakyat dan alam sekitar," katanya. Bentong MP Wong Tack says the committee will discuss matters including radioactive pollution, waste management and verification of licences owned by Lynas. KUANTAN: Bentong MP Wong Tack has assured that a special committee will soon be set up to review the Lynas issue. 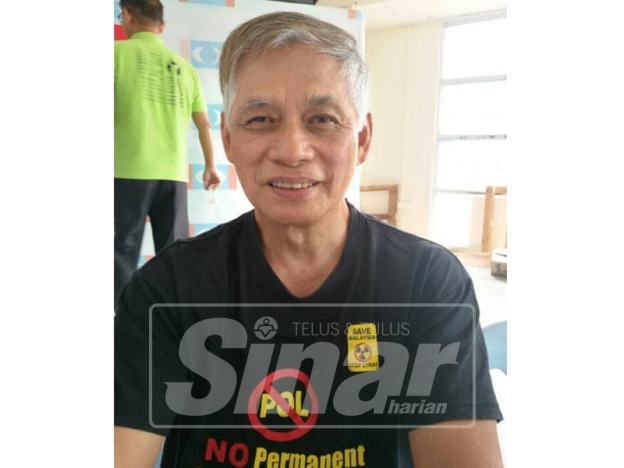 Wong, who is also chairman of Himpunan Hijau, said he was committed to championing the issue which had dragged on for 10 years now. “The established committee will not only discuss the issue of radioactive pollution by the waste from the Lynas plant, as it was previously focused on by the government. KUANTAN - Kerajaan diminta meneliti semula isu kilang Lynas dengan mewujudkan jawatankuasa khas untuk mengkaji aspek berkaitan syarat perlesenan dan operasi kilang tersebut. Pengerusi Badan Bukan Kerajaan (NGO) Save Malaysia Stop Lynas, Tan Boon Teet berkata, pihaknya berharap dalam tempoh 100 hari, kerajaan dapat memberi fokus terhadap isu Lynas. Menurutnya, banyak isu yang masih belum selesai termasuk di mana sisa buangan dibuang selain tidak pernah mengadakan dialog bersama penduduk Kuantan. “Lynas sebelum ini tidak pernah berdialog dengan warga Kuantan untuk menjelaskan mengenai operasi kilang mereka. “Justeru, selepas kerajaan baru dibentuk, saya amat mengharapkan isu ini diberi perhatian kerana ia melibatkan soal keselamatan awam dan alam sekitar,” katanya kepada pada sidang media di Pusat Khidmat Dun Semambu, di sini, hari ini. Hadir sama, Ahli Parlimen Bentong, Wong Tuck dan Ahli Parlimen Kuantan, Fuziah Salleh. Wong Tuck bersama Fuziah dan wakil NGO pada sidang media yang diadakan. Sementara itu, Wong Tuck berkata, pihaknya tetap komited memperjuangkan isu Lynas terutama selepas kerajaan baru dibentuk. Beliau berkata, mesej yang ingin disampaikan adalah jelas iaitu mahu operasi Lynas mengikut prosedur. “Kita tidak tahu sejauh mana selamatnya kilang Lynas dan tidak berkompromi terhadap sebarang isu keselamatan awam dan alam sekitar. “Usaha secara komprehensif akan dilakukan untuk memastikan kilang itu mematuhi prosedur dari pelbagai aspek,” katanya. Wong Tuck menegaskan, pihaknya akan pastikan rakyat dan persekitaran dilindungi daripada sebarang pencemaran ekoran operandi kilang itu. Dalam pada itu, Fuziah menawarkan diri untuk menjadi orang tengah antara Lynas dengan penduduk, NGO dan kerajaan untuk berbincang isu tersebut. Katanya, perkara yang timbul perlu dijelaskan dengan telus. “Cukuplah Lynas mendapat perlindungan daripada kerajaan sebelum ini. 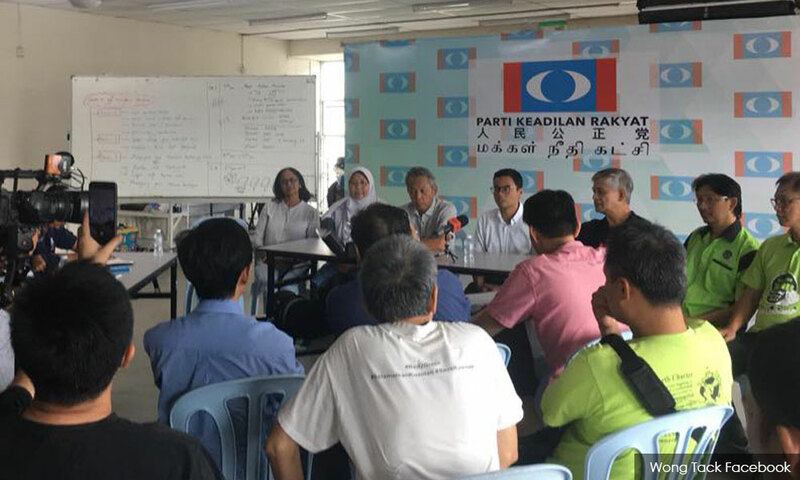 “Saya percaya, kerajaan pimpinan Perdana Menteri, Tun Dr Mahathir Mohamad tidak akan membiarkan projek mega seperti Lynas diteruskan jika memberi kesan kepada rakyat dan alam sekitar,” katanya. 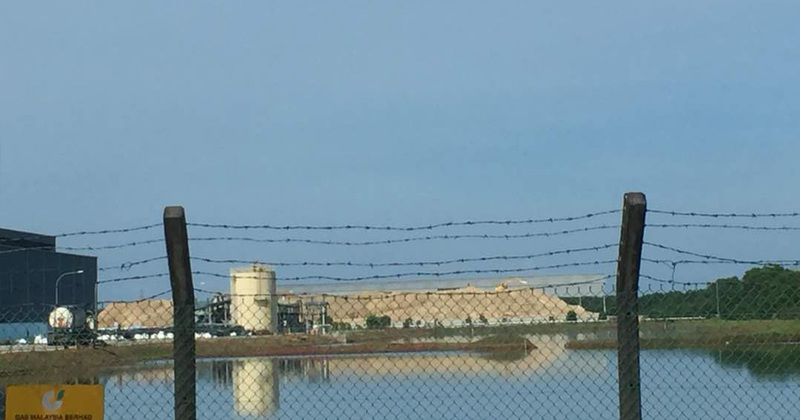 Controversial plant: ﻿While the MPs claim that a review of Lynas’ safety issues is necessary, they also note that the Government cannot just shut down the plant, as regulations must be followed. 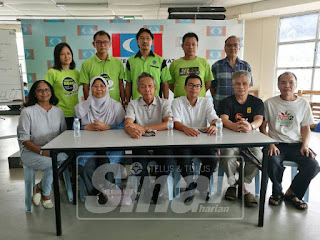 KUANTAN: Two Pakatan Harapan MPs involved in the anti-Lynas movement will push for the setting up of a new parliamentary select committee (PSC) to reopen investigations into the Lynas rare earth refinery here. 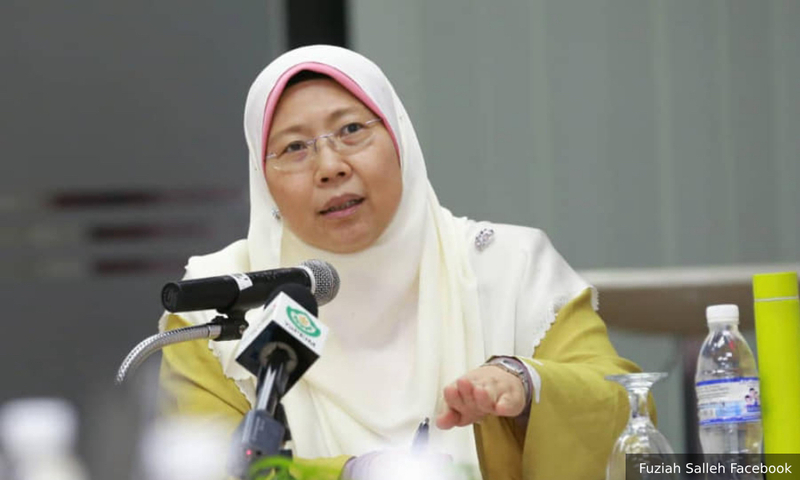 Kuantan MP Fuziah Salleh said the parameters of the new PSC’s review of the Lynas Advanced Material Plant (LAMP) would have to be redefined, claiming that the previous definition of safety had been skewed towards the narrative that supported Lynas. “It had always been about radiation before this while waste management was never mentioned. “They were completely silent on that,” she said here yesterday. Fuziah added that the previous PSC also did not include the views from opposition MPs. She said a new committee should be formed to seek opinions from experts and civil society groups. Bentong MP Wong Tack claimed the previous PSC’s purpose was just to legitimise Lynas’ operations. “The new PSC will take into consideration the views of stakeholders. We have to be proper and transparent this time,” he said. Fuziah said the new PSC could only be set up once Parliament reconvenes. In the meantime, other options are to initiate a caucus or a ministerial committee once the related minister is appointed, she added. In 2012, the PSC concluded in its report that Lynas should be awarded a temporary operating licence (TOL) after finding that it met the stipulated requirements. Fuziah also said the Pakatan government could not simply freeze operations at Lynas or shut it down immediately as regulations have to be followed. “We can only ask to declassify whatever documents we have not seen before this. There are procedures we have to follow,” she added. 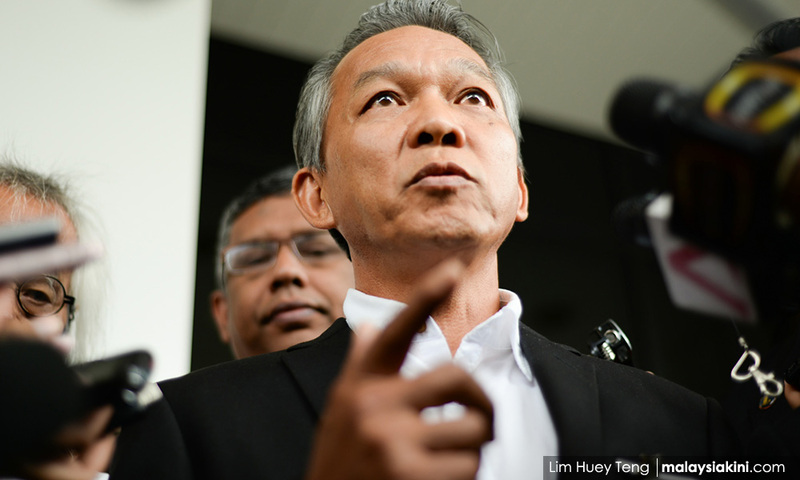 Wong said the Government should not go to the extreme when dealing with the matter. He also said the views of experts would be sought in their review of Lynas’ operations and licensing. This is the pic that will give u an idea how big the pile of dredged-up solid waste stored under the roofed structure. Here is the picture showing the back portion of LAMP with a rather long roof at the forefront and greenish pools at the far end of the picture. 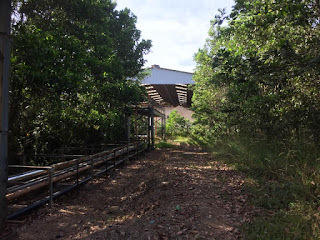 The long roof is the covered structure erected recently with its bottom section constructed resembling the existing RSFs. The volume in which the dredged up solid wastes piled up until the roof as can be seen in other photos attached. The picture of YB Cheam Chung standing in front of the structure on this side of the fence will give you a sense of its immense height. Given the length of the structure, one can imagine how much solid wastes had been produced in the years LAMP was operating! 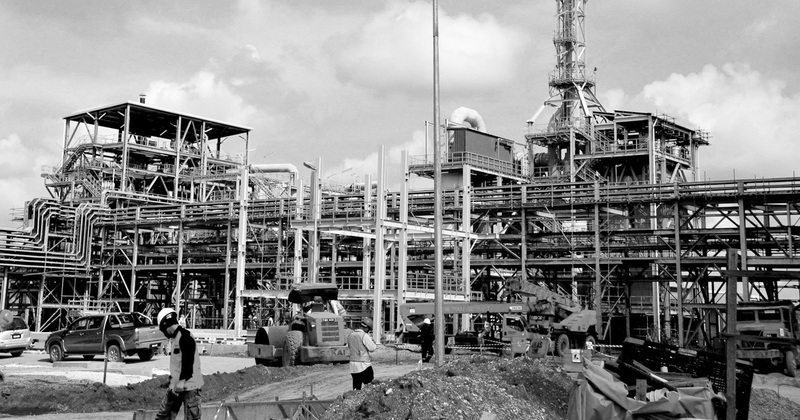 File photo of the the Lynas rare earth refinery in Gebeng, near Kuantan. KUANTAN: The Pakatan Harapan Government will have to review the operation of the Lynas rare earth refinery here, especially its waste management. Kuantan MP Fuziah Salleh said she had asked the anti-Lynas groups to compile documentations on the Lynas issue such as the licensing of the plant in Gebeng here. "We have to look into the various issues such as licensing, waste management, residue and discharge from the plant and whether we are getting the correct information before this. "If there is data that is being kept from us, we will open and scrutinise it," she said at a thanksgiving event in celebration of Pakatan's victory here Sunday. Fuziah said the issue with Lynas was not about closing down the plant but rather about its waste management. "I have always said that the best practice is to send the waste back. 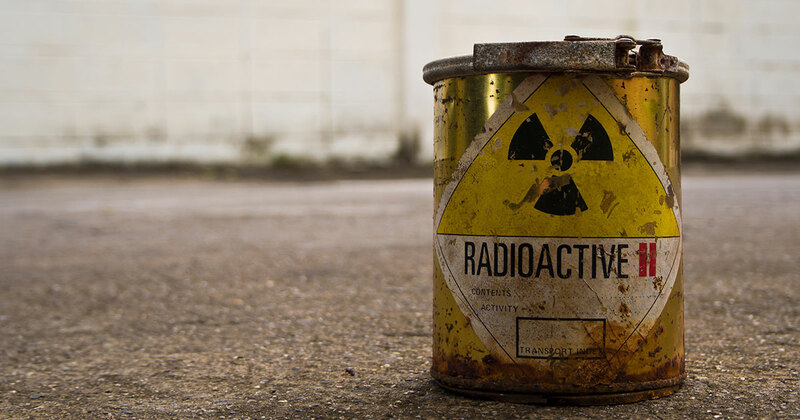 Although the residue has a low radiation level it has a long life. Our duty is protecting the people from being exposed to it in the long term. "Such radiation will affect not only our health but the ecosystem. It can even go into our food chain," she said. Fuziah said she would engage with the ministry appointed to oversee the matter as this issue was of utmost priority to her. "We have to review everything such as the lack of a permanent disposal facility that has been promised by the previous ministers. They got away without doing it," she claimed. "We know the law does not allow transportation of radioactive material across countries so the people have been fooled by the media all this while. The media covered up this issue, telling the people Lynas is safe," she said. 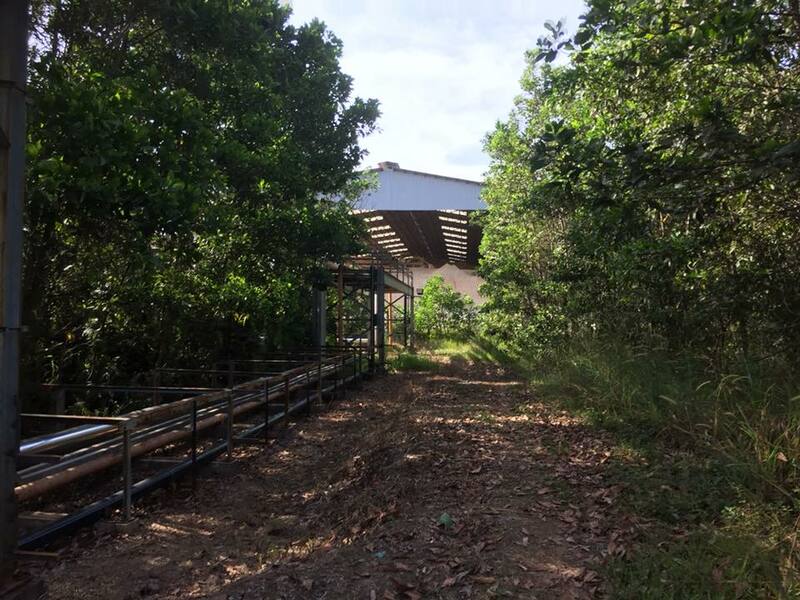 Fuziah added that the best solution was a permanent disposal facility and not merely storing the waste in Kuantan's "backyard". Also present was Teruntum assemblyman Sim Chon Siang, who had been re-elected for his second term. Malaysia is a warm and welcoming county. Rarely does her people rally in force against a corporation. Rarer still that such active protests persist for more than a decade, unrelenting. 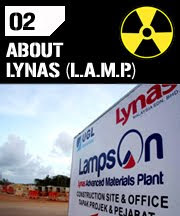 Anti-Lynas sentiments emerged soon after the Lynas Advanced Materials Plant (LAMP) project was approved in 2007. This was not unexpected, as no one wants to risk radioactive exposure from having a potentially hazardous rare earth refinery in one’s backyard. However, the slight negative sentiment and concern escalated to numerous nationwide demonstrations by 2012 when the plant commenced operations. 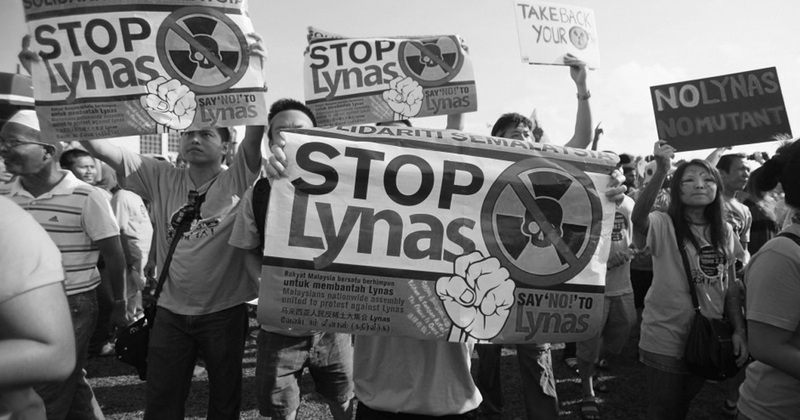 Today, the anti-Lynas movement is still very much alive. 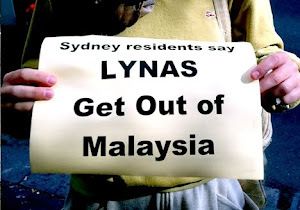 Why such ire over Lynas? 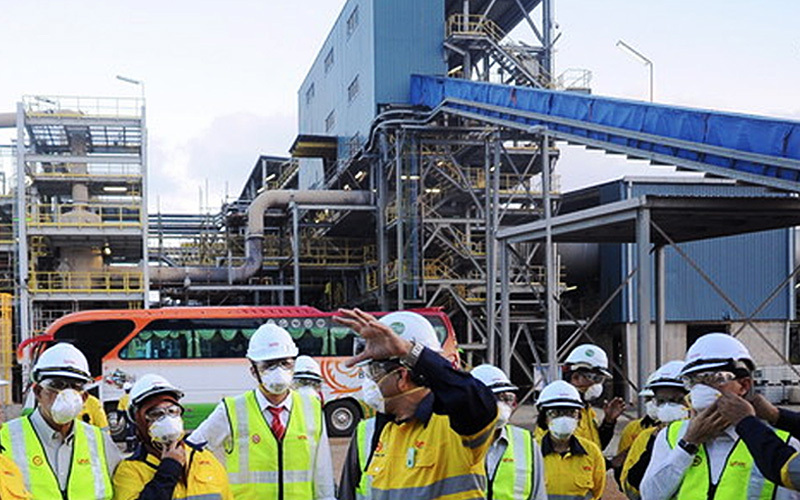 the Malaysian Minister of Finance approved Australian-based Lynas Corp’s Lynas Advanced Materials Plant (LAMP) project with a package of special incentives, including “pioneer” status and a 12-year tax holiday. the State of Pahang Department of Environment (DOE) approved the Environmental Impact Assessment (EIA) for LAMP to be located in Gebeng, Kuantan. The Atomic Energy Licensing Board of Malaysia (AELB) approved the Siting and Construction Licence following an approval recommendation from the Licensing Division of the AELB. The Kuantan Local Council also approved the Development Order application. AELB approved a temporary operating licence (TOL) for LAMP. This was challenged by residents in court on the grounds that it breached the Environmental Quality Act 1974, among others. The issuance of TOL was withheld pending the outcome of a hearing of an appeal by a group of residents to the Science, Technology and Innovation Minister in April. 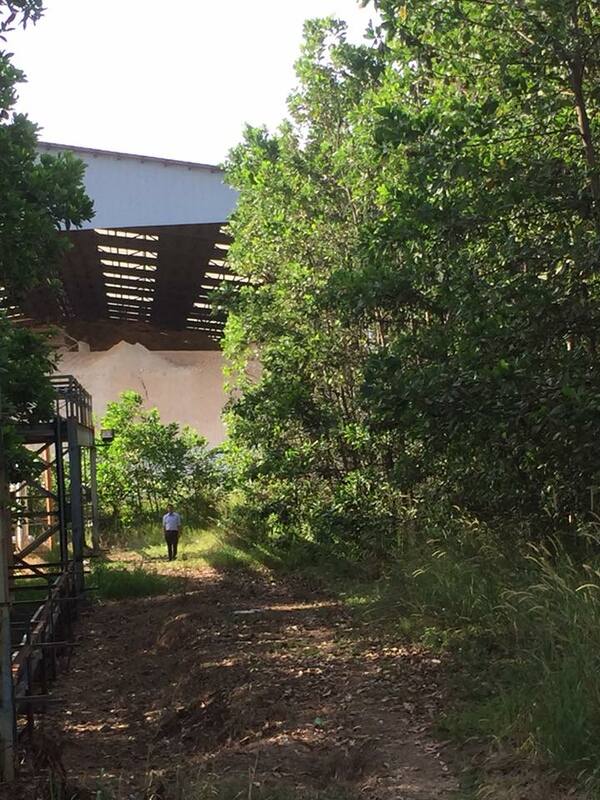 LAMP was granted a two-year TOL effective 3 September 2012, with a safe deposit of US$50 million and five conditions, including disclosure of a permanent deposit facility (PDF) for the storage of the plant’s radioactive water leached purification (WLP) waste. 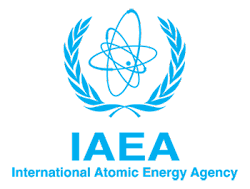 Note that the International Atomic Energy Agency (IAEA) in its 2011 report had recommended that a PDF be identified before an operating licence is awarded to LAMP. AELB had granted a temporary stay on this condition; Lynas promised to comply within 10 months of LAMP’s operations. The TOL was arguably granted on the excuse that AELB needed to collect data on the various areas of LAMP’s operations including wastes produced. As of today, Lynas has yet to identify the location of the PDF. Neither has there been any public notifications, publications or announcements by AELB on the issue. LAMP entered production in 2013, producing 1,089 tonnes of rare-earth oxides in the first quarter of 2014, with a target of 11,000 tonnes per annum. Despite the numerous protects, Lynas was on 2 September 2014 issued a two-year Full Operating Stage License (FOSL) by AELB. The licence was renewed in September 2016 for another three years despite calls to examine the non fulfilment of terms and written undertakings by Lynas to either recycle the radioactive WLP waste into industrial by-products or ship them overseas. LAMP is designed to operate 24 hours a day, seven days a week and 8,000 hours a year, with a lifespan of 20 years. Each hour it produces approximately 36 tonnes ( dry weight) of solid wastes. The total volume of solid wastes that will be produced by LAMP prior to its decommissioning after 20 years is approximately 5.76 million tonnes! To put this figure into perspective, it is 15.6 times the weight of the steel used in the Petronas twin towers. The waste produced by LAMP over 20 years can fill Bukit Jalil Stadium 18 times over! 2017 is coming to a close in slightly more than 24 hours. It is pertinent to reflect for a moment on what had taken place in terms of Lynas financial status as a going concern. 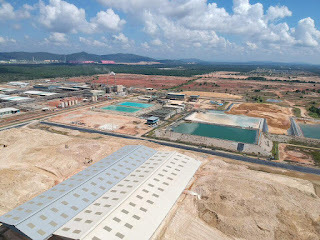 Lynas took out two separate loans from two creditors in 2011 and 2012 to complete both phase I and II of Lynas Advanced Materials Plant in Gebenr Industrial Estate (GIE). 1.The JARE facility ( Japan- Australia Rare Earth agreement backed by JOGMAC and Sojitz) worth US$ 225 millions secured against all assets owned by Lynas. It subscribed an additional US$25 millions worth of shares at the then prevailing price of AUD 2.12/share. 2.The Unsecured Convertible bonds worth US$225 millions from MT Kellet Capital Management LP,USA. Both facilities went through two CDRS ( Corporate Debt Restructuring Scheme) in 2014 and 2016 and payment of all outstanding loans including the deferred interest payments are scheduled to be fully satisfied by September 2020. Currently the JARE facility still has a balance of US$ 170 millions payable as at 21st Dec 2017 while the Unsecured Bonds has US$86.5 millions worth of bonds redeemable. Interests due semi-annually will be accrued to the final settlement of both facilities in Sept 2020. It is interesting to note that MT Kellet Capital Management LP has through seven partial conversions of bonds this year redeemed bonds worth a total of US$ 138.5 millions. This has added a total of 1.725 billion shares to Lynas' total shares in trade! 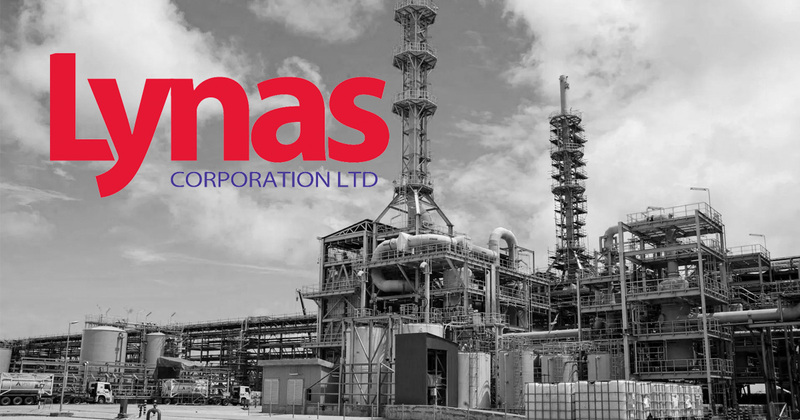 The consolidation exercise of 10:1 executed immediately after the last shareholders' AGM in late November has reduced the Lynas' total shares in issue to 563 millions shares. A public statement on Issues remaining unresolved arising from the operations of Lynas Advanced Material Plant at Gebeng, Pahang. The PDF (Permanent Disposal facility) for its radioactive Water Leach Purification (WLP) wastes. Lynas Advanced Materials Plant (LAMP), a rare earth extraction plant located in Gebeng Industrial Estate (GIE) obtained its Temporary Operating License (TOL) in September 2012. In granting the TOL, the regulating authorities required LAMP to submit a detail plan on the selection of the location and management of its radioactive wastes in a Permanent Disposal Facility (PDF) within 10 months of its operations. According to the regulating authorities, the Atomic Energy Licensing Board (AELB) , it was fulfilled conceptually but no mention had been made on the location. The latest being the claim that a soil enhancer (conditioner) called ‘Condisoil’ has been successfully formulated from the mixture of all three types of solid residues inclusive of the radioactive WLP residues for use in agriculture! All previous attempts and claims to recycle the radioactive WLP evaporated into thin air! We the residents of Kuantan are appalled by such irresponsible claims! 2. 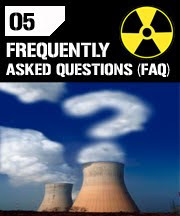 From the chemical compositions listed ( provided by Lynas in its Radioactive Waste Management Plan (RWMP) ), it is obvious that WLP carries with it many chemicals that are of little or no use to plants and the most damaging part of all is its content of the radioactive Thorium and Radium! 3. Any attempt or experiment to mix these ‘residues’ would have to take into serious consideration on overcoming technical difficulties in the measurement of correct mixture because each of these residues, produced in moist cake forms, contains 40-45% moisture. 4. A correct or accurate mixture of these residues would invariably involve a preliminary step of drying and this action attracts tremendous costs in fuel expenditure which makes the attempt economically non-viable! 5. To entrust and seek approval from SIRIM on Condisoil’s safe usage is totally misplaced! SIRIM is the body that appraises and evaluates proposed industrial standards’ drafted by relevant professional bodies before they become Malaysian Standards. Does this mean should SIRIM approve ‘Condisoil’, it would become the Malaysian Standard for recycled radioactive wastes? How would other industries churning out radioactive wastes view this? They too would have the liberty of ‘mixing’ their radioactive wastes, giving it a fancy name and pass it off as a safe recycled industrial byproduct? 6. The proposed mixture of 1:2:7 of WLP: NUF: FGD will leave behind large quantities of unused radioactive WLP wastes for lack of FGD to go with it to create the so called ‘ Condisoil’. From the data provided by Lynas in their RWMP,for every ton of REO ( Rare Earth Oxides) produced there will be an accompanying 13.41 tons of solid residues produced ; out of which 2.85 tons will be WLP; 7.93 tons NUF and 2.63 tons FGD. There are more WLP produced than FGD and yet their requirement in the mixture is 1:7. Mathematically it can be worked out that with all the FGD produced and used in formulating the Condisoil, only 13.18% of WLP will be consumed for this purpose! 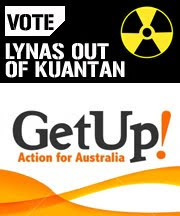 May we know what Lynas intends to do with the remaining 86.82% of the radioactive WLP? Don’t they require a PDF to safely store it? Ending September 2017, there is an estimated 138,820 tonnes (dry weight) of WLP residues generated and kept at the back of the LAMP! If Lynas were to successfully utilize all their FGD (127,720 tonnes) there will a balance of 120,523 tonnes of WLP in the residue storage facility in LAMP! Lynas projected a greater quantum of REO production for the December Quarter this year and the coming years. How much more WLP will be added onto this existing pile of radioactive residues? Are they ready to act responsibly as a corporate citizen of this country by IDENTIFYING A SUITABLE SITE FOR THE PDF OR are they going to continue to hide behind their wonder industrial byproduct called ‘Condisoil’? Just this month Lynas has spent quite a substantial amount of ringgits by taking out a 3 half-page coloured advertisements in a local newspapers while the mandatory safe deposits of USD 50 millions are yet to be fully satisfied fully according to agreed schedule! 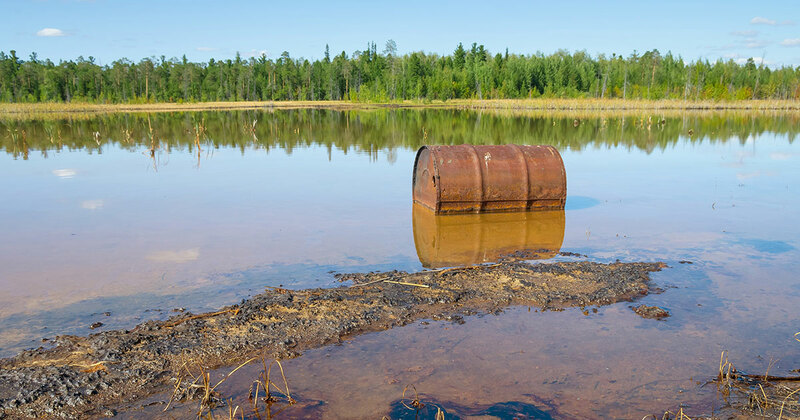 If the regulating authorities, the AELB, believed that Condisoil is a viable solution to the management of the radioactive WLP waste , then perhaps the payment of this safe deposit may not be necessary! 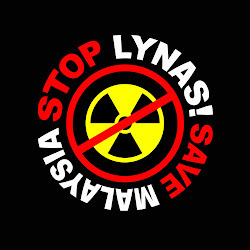 It is obvious that the issue of resolving the radioactive waste safely by Lynas through ‘Condisoil’ is but an attempt to pull a wool over people’s eyes! If left unchecked, our beloved land will be littered with radioactive residues from LAMP! 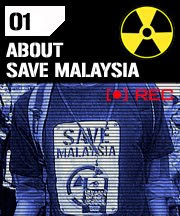 Statement by Save Malaysia Stop Lynas Committee. With this detailed breakdown of WLP's Chemical compositions, one will be able to determine its 'synergistic' if any role in complementing the FGD and NUF in the 'Condisoil'(2).